While many of Hollywood's screen couples were famed for their off-screen romances, Myrna Loy and William Powell made magic on screen in the "Thin Man" series but remained fast friends in real life. The pair made 14 movies together, but are best known for the six "Thin Man" movies. They starred as Nick and Nora Charles, the dashing private detective and his rich, glamorous wife, with their wire-haired fox terrier Asta. Nora is a classy society dame, while Nick's work puts him in touch with the world of cops and crooks, touts, safecrackers, and ex-cons, and they're never far from a shaker of dry martinis. The plots all follow the same basic formula as the first movie, "The Thin Man," based on a clever Dashiell Hammett story. Nick and Nora are in some glamorous spot, having lots of cocktails when they somehow find themselves in the middle of a murder or two, mixed up with Nick’s earthy pals. There’s usually a femme fatale or a mob moll, a pretty ingenue in a fix, a perplexed policeman, and a cast of Damon Runyonesque characters from the criminal demimonde. They’re all wrapped up in a mystery only Nick can solve, while Nora cooks up her own theories. 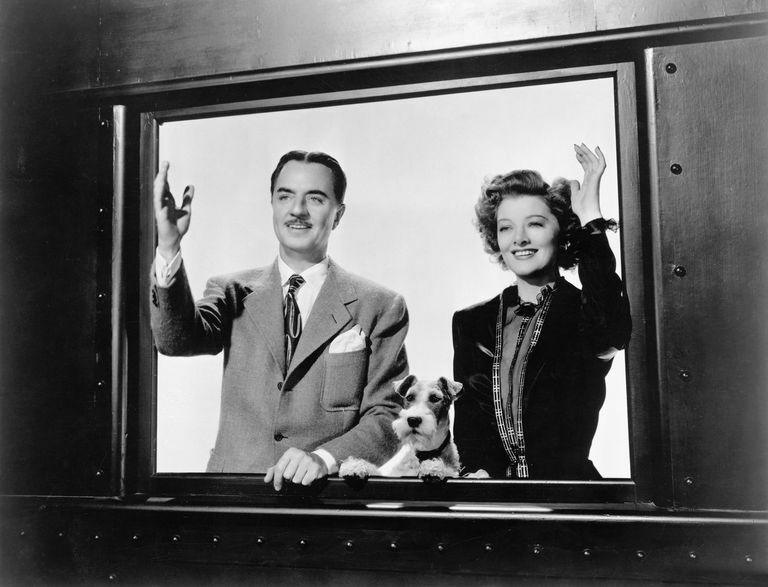 The joy of the "Thin Man" movies comes from the easy relationship between the two stars, the light comic banter, the silly physical comedy, the dog, and of course, the drinking. Nora is fascinated by Nick’s rough-and-tumble life and especially his more unsavory friends. And while he constantly claims to have married her for her money, Powell’s Nick is a rakish but devoted husband. It doesn’t hurt that Powell is suavely charming as Nick, or that Loy parades around each movie in a series of slinky, gorgeous gowns and sharply tailored suits that show off her slim figure. She’s forever sporting a collection of ridiculous, adorable hats that showcase her perky little nose. They are witty, sophisticated and usually a bit tipsy, and Asta can do backflips. What more could you want in a famous detective? The series is also fun for the peek at what fashionable rich people did in the 30s and 40s—or at least what the movie-going public expected of them. Nightclubs and dancing, fashionable restaurants, the racetrack, pro wrestling, swanky dinner parties. The sets are actually fairly simple, shot mostly on soundstages and very inexpensively, but with fancy cars and clothes, and set design that was meant to look spare, elegant and modern. The “thin man” of the title in the original Hammett story actually referred to the murder victim, not to Nick Charles. 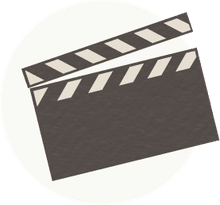 But audiences assumed the reference was to the slender star, and the studio kept the franchise going by using the "thin man" mistake in the title of each subsequent film. The Thin Man series is the cinematic equivalent of those detective novels that always have the same basic plot, but keep their audiences coming back because the characters are so irresistible. They feel like old friends—or at least, the kind of rich, amusing, good-looking and well-dressed friends we wish we had. Nicky, darling. Fix me another dry martini.